Wondering if your class is planning an upcoming reunion? Or want to plan something but need some help? That’s what the alumni office is here for. We will help you with all aspect of reunion planning, event details, budgeting, class lists, etc. Why should I contact the Alumni Office? Our office can assist with many different aspects of your reunion; from providing a class list to assisting with brainstorming and booking events for your reunion, we can provide administrative assistance for mailings and even create a university account to manage the finances of your reunion. Lastly, it’s your reunion too! We can help to ensure you have time to relax and catch up with friends and don’t have to worry about all the event details. What services are offered by the Alumni Office? We can help to write letters to grads and can assist with mailing save the date and registration forms for your reunion. We will collect the reply forms, keep track of numbers and supply you with a list of the responses. We can also advertise your reunion on the Faculty of Medicine Alumni website and through our e-newsletter and Medicine Magazine. We can help you with name tags, place cards, programs and any other special notices. We also have banners available for your group to use. We will assist in developing your budget. We can collect money and settle accounts for your reunion and provide you with a full accounting of your event’s finances once it has taken place. We can set up an online registration form as well. If you wish to have a university account for your reunion, your event budget and any contracts with vendors must be approved by the alumni office. We can coordinate all aspects of your arrangements (except for booking hotels and pre-paid deposits) and act as the liaison with your suppliers and other campus departments. We can also handle special correspondence with invited guests. What will my reunion budget look like? 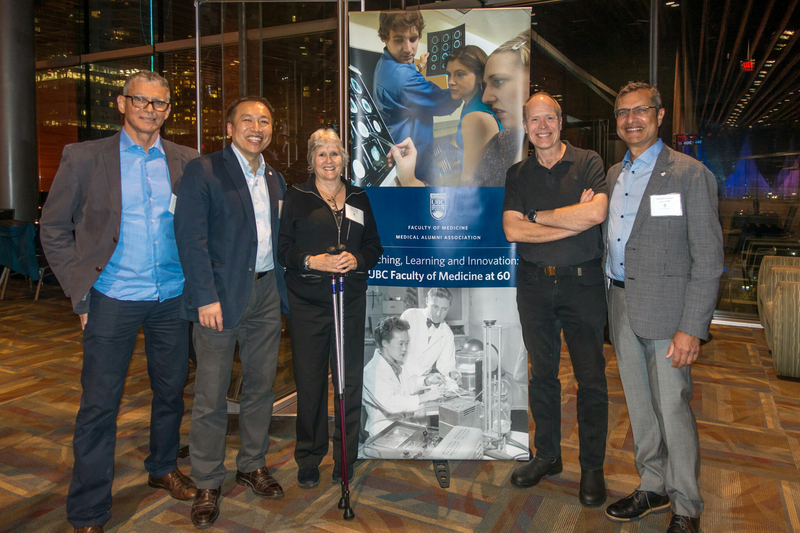 Once you have looked over the above documents contact at 604-875-4111 ext 62031 or med.alumni@ubc.ca to get your class list and get started planning your reunion!